Papa John's originator John Schnatter has lost his office in the pizza chain's corporate home office in Louisville, Kentucky. An uncommon panel of Papa John's directorate has "endorsed and guided the organization to end a sublease understanding allowing Mr. Schnatter the privilege to utilize certain office space at the organization's corporate central command," the organization said in an announcement discharged late Friday. The board of trustees of free chiefs with the least business and individual connections to the onetime director was framed to "assess and make a move regarding the greater part of the organization's connections and game plans" with Schnatter, as indicated by the announcement. Daddy John's has just requested that Schnatter quit conversing with the media about the organization, the announcement stated, and has formally finished the "Originator Agreement" it had that characterized Schnatter's part as the picture and representative for the brand. Schnatter ventured down as the organization's director on July 11. He remains Papa John's biggest investor, holding around 30 percent of the organization's stock. Offers of Papa John's were down almost 5 percent Monday morning, exchanging at about $50.90 an offer. The break with the organization he established is the most recent in a progression of misfortunes for Schnatter after he conceded a week ago to utilizing a racial slur amid a business call. Schnatter apologized for his words, yet has additionally said that his announcement was taken outside of any relevant connection to the issue at hand. 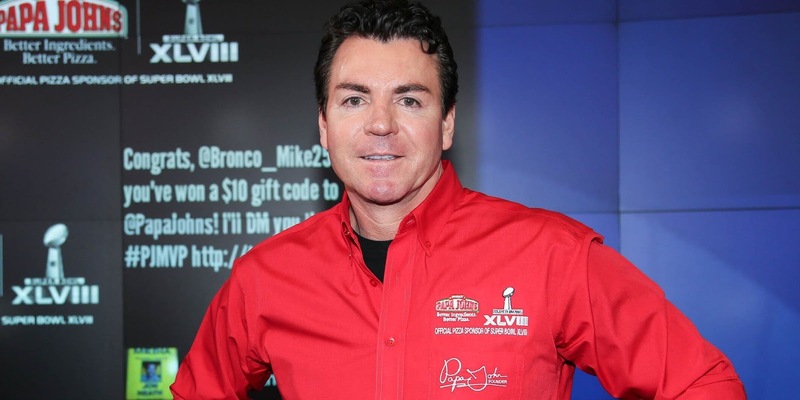 He disclosed to CBS partner WLKY that, after the preparation, the organization leading it endeavored to coerce Papa John's and after that "raced to Forbes" with his remarks after installment was not expected. Forbes was the first to report the racial slur on July 11. No less than five games groups have dropped associations with Papa John's, and two colleges have removed themselves from the organization or Schnatter in the wake of his remarks, as has the chairman of the place where he grew up of Jeffersonville, Indiana.